A Worksafe investigation is being conducted at a Hazelwood Power Station following an incident involving the injury of a worker. The maintenance worker suffered significant head injuries following his 2.5 metre fall. Emergency Services stablised the man prior to airlifting him to Alfred Hospital where he remains in stable condition. The worker is employed by Hazelwood’s major maintenance contractor Fluor. He is believed to have been spotting a maintenance taks on a station boiler when he fell. Mantenance unions and Incolink counsellors have visited the site where they are assessing the situation and assisting the injured worker’s colleagues wherever needed. A spokesperson for GDF SUEZ Australian Energy, the owner operator of Hazelwood Power Station, said the worker was in the vicinity of a bunker when the incident occurred. 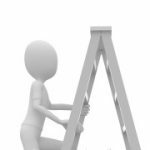 Construction workers using ladders and working from heights on scaffolding will be the target of a new compliance and inspection campaign by the ACT Work Safety Commission starting this week following a spate of serious falls and injuries over the past year. WorkSafe inspectors will target the residential housing industry, starting on Tuesday, to check the safety of workers at heights, and to educate them about the dangers of falls. 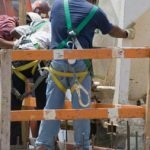 ACT Work Safety Commissioner Mark McCabe said last year’s independent inquiry into construction safety in the ACT had highlighted falls from heights as a leading cause of serious injuries. 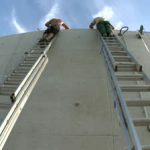 This was backed up by analysis from Safe Work Australia that identified falls from heights as the leading cause of fatalities and a major cause of serious injuries in the industry throughout the country. He said the aim of the program was to ensure both employers and workers were doing the right thing. 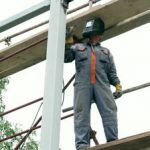 Inspectors would promote awareness of the provisions of relevant legislation, such as the Work Health and Safety Act 2011 and associated regulations, as well as checking the level of compliance on sites where working at height was required. 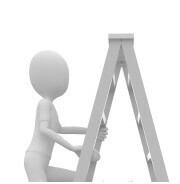 WorkSafe inspectors would focus specifically on work from scaffolds, on roofs, and using ladders. ”Generally, our inspectors will take an educative approach in their discussions. More serious issues, however, may lead to formal notices such as improvement or prohibition notices,” Mr McCabe said. Some infringements may also result in on-the-spot fines. Mr McCabe said the program would run for one week initially before the commission evaluated the results to see what next steps were required. The outcome could be further education for the industry, or more targeted inspection campaigns. 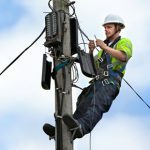 ”Our hope is that this focus on working safely at height will lead to a better understanding of the requirements in this area and a higher level of compliance with those requirements in the future,” he said. Safework has released a press release detailing the events surrounding the injuries suffered by a student who fell while working at heights. According to the courts,the Department of Further Education, Employment, Science and Technology to blame for his injuries. DFEEST has been fined $120,000 by the Industrial Relations Court following the injury of the student. DFEEST, the agency responsible for TAFE, pleaded guilty to breaching section 22(2) of the Occupational Health Safety and Welfare Act 1986 by failing to ensure the student’s safety, failing to provide fall protection and failing to conduct and document a proper risk assessment for the task. 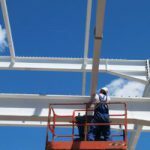 The incident occurred at the Gilles Plains campus in November 2009, when a construction student walked across and stood on ceiling beams to help remove a panel. The student lost control and fell 4.5 metres through exposed plasterboard to the floor. He broke several bones and suffered serious and permanent injuries. It was revealed in court that while DFEEST did conduct an internal investigation and amended its Working at Heights and Hazard Management policies, the amendments did not go far enough to explicitly state the proper safety measures that would be necessary to avoid a similar incident. The court fined DFEEST $120,000 (following a 20 per cent discount to account for an early guilty plea and expression of contrition) and also ordered they pay compensation of $20,000 to the student. Unions have requested tougher consequences after a company was fined slightly more than a mine worker’s annual salary for an occupational health and safety accident that resulted in the death of a man. John Holland received a fine of $242,000 by the Federal Court earlier this month for their breach of workplace safety laws by failing to protect staff from injury or death at a Pilbara mine. The company’s oversight caused a death at BHP Billiton’s Mt.Whaleback site. Wayne Moore died in early 2009 when he plummeted 12m from an unsafely secured sheet of grid mesh on a machine. It is undisclosed how much Moore earned, but the typical tradesmen in his sector often earned over $150,000 annually and senior workers often received over $250,000. The court imposed the highest penalty under the old OHS safety regime when safety watchdog Comcare pursued a successful prosecution. Later, the maximum penalty under the national system rose to $1.5 million for the same type of offense and $3m for more significant breaches. The Construction, Forestry, Mining and Energy Union commented that the case displayed the inadequacies of penalties in the region. State Secretary Mick Buchan stated that nominal fines sent a problematic message to employees since many in the sector earned the same around the same amount as the fine.